We’re all big fans of the new F90 BMW M5. In fact, the new M5 is the highest rated car we’ve ever reviewed and it’s easily one of the best M5s of all time. There’s hardly room for complaint with it, as it’s everything any BMW enthusiast could want. It’s fast as all hell, it’s fun to drive, it’s comfortable and now it’s even all-weather capable, thanks to all-wheel drive. If there was a single complaint, and it’s a minor one, it’s the noise of the 4.4 liter twin-turbocharged V8. It’s not bad by any means, with a deep, grumbly noise, but it’s not as sonorous as M5s of the past. Which is where Akrapovic comes in. 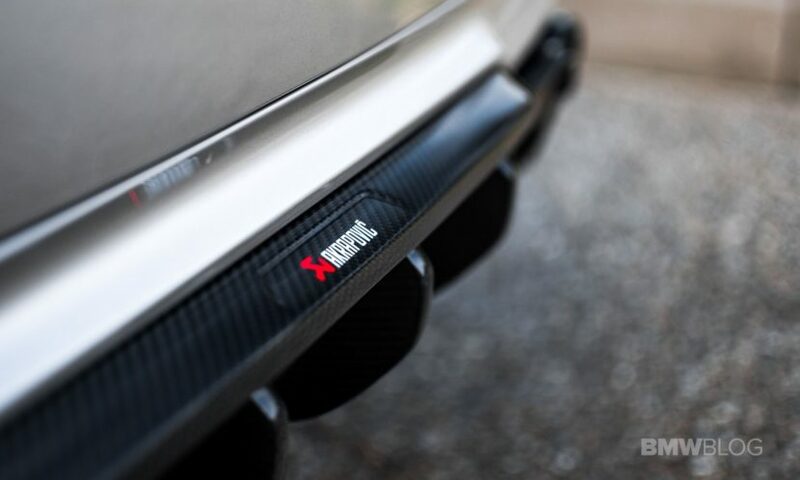 Akrapovic is one of the world leaders in performance car exhausts, developing systems for both road cars and race cars. It’s also one of the brands with the best sounding exhausts on the market and we’ve become huge fans of what the Slovenian exhaust makers produce. 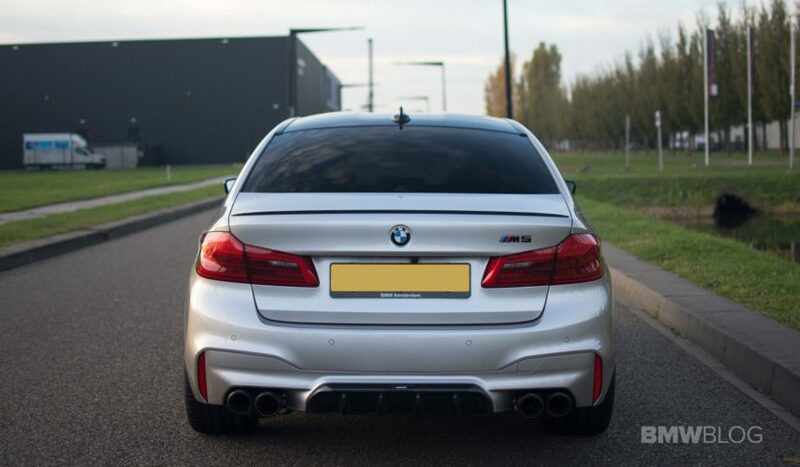 We recently reached out to Akrapovic to learn some more about the exhaust system for the new BMW M5. For the new F90, there are actual several products on offer, from the actual exhaust system itself, to a dual-mode exhaust setup, to even things like mirror caps and a rear diffuser. 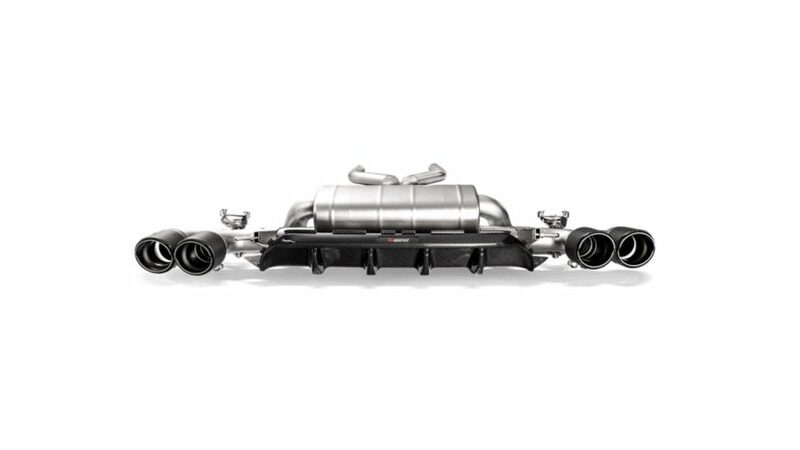 The full kit for the BMW M5 includes an Akrapovic Evolution Line fully-titanium exhaust system with carbon fiber tips. 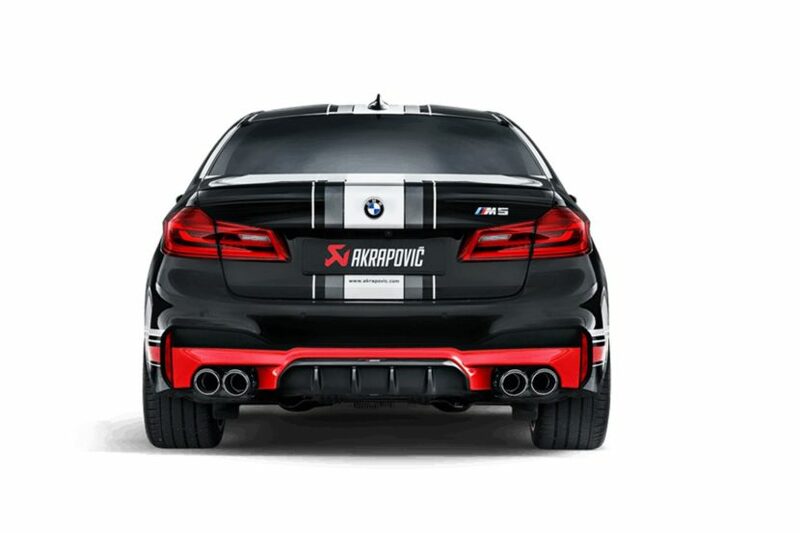 It also gets the Akrapovic sound kit which allows the drive to open or close the exhaust flaps from inside the car, giving it a dual-mode exhaust. 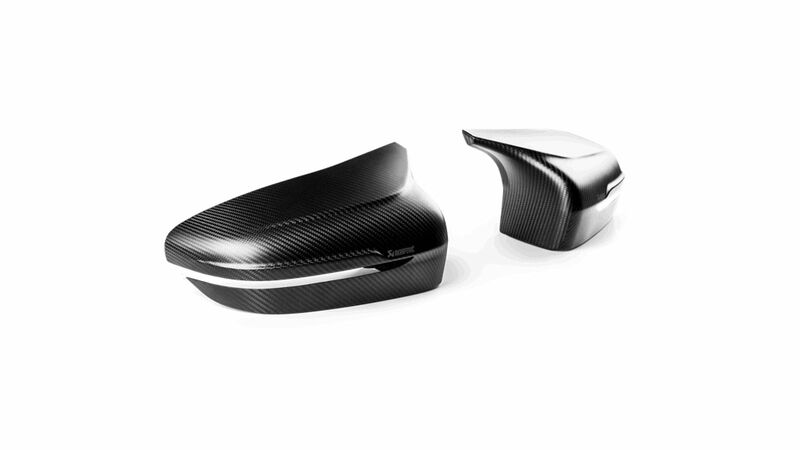 Visual upgrades include mirror caps in either high-gloss carbon fiber or matte carbon. The same goes for the rear diffuser, which comes in either matte or gloss carbon fiber. But the sound is what’s really important. How exactly does the new BMW M5 sound with the Akrapovic exhaust? “Differentiation from stock – richer, high frequency V8”. The idea was to create a sound profile that’s still calm and comfortable in the cabin at low revs, give it some mid-range growl and then get loud as the revs climb high. 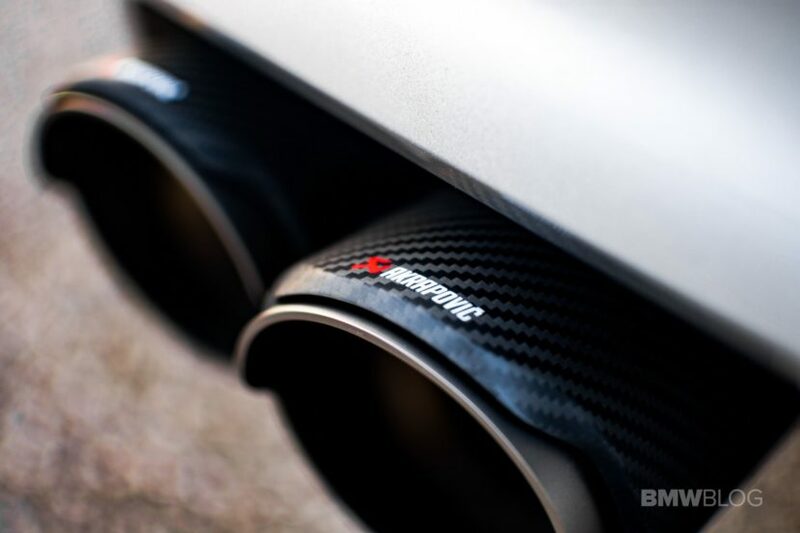 Akrapovic also wanted to eliminate “streaming and whistling” noises, while also enhancing in-cabin sound. Admittedly, one of the flaws of the new M5 is that it’s so quiet on the inside that BMW had to pipe in engine/exhaust sound through the speakers. The idea of this Akrapovic exhaust was to create a sound profile that was louder inside but better, letting the good noises in but keeping the bad noises out. One of the nice things about buying Akrapovic is that you know the folks in Slovenia are putting in the time and work to create a truly special product. 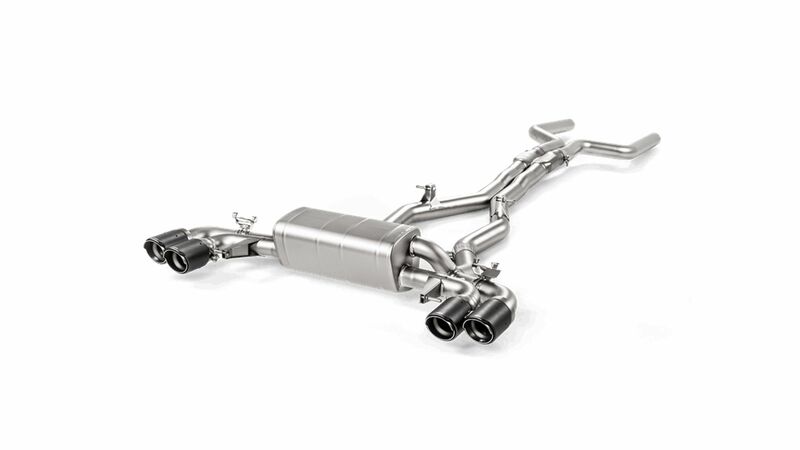 With a metal and titanium foundry on-site, allowing the brand to create the entire exhaust in-house, from the actual exhaust pipes to even the cast-titanium housings, connections and brackets. In addition to all of that, being that this system is fully titanium, the exhaust is actually 32.6 percent lighter than the stock system. You can hear the difference, too. While the stock BMW M5 doesn’t sound bad, it can sort of sound like generic V8 performance car noise. With the Akrapovic setup, it’s louder, angrier and more aggressive. But it’s not overly booming, like a lot of new aftermarket exhausts are, especially on turbocharged cars. Most exhaust companies just think louder is better. Akrapovic knows that sound quality is far more important than noise. And you can tell when you listen to it. There’s still a lot of low-end rumble but it becomes higher-pitched than stock at higher revs, giving it a more motorsport-like sound. It also sounds a bit more metallic, as all good BMWs should. Some enthusiasts might complain about the crackles on the overrun, as that seems to be a big talking point in recent days, they certainly make the M5 sound more aggressive and they’re fun to listen to when bombing down a canyon road, listening to them reverberate off canyon walls. While we wouldn’t change much about the new BMW M5, and none of us would complain about a thing if we owned one, an Akrapovic exhaust would be one of the only welcome aftermarket additions. 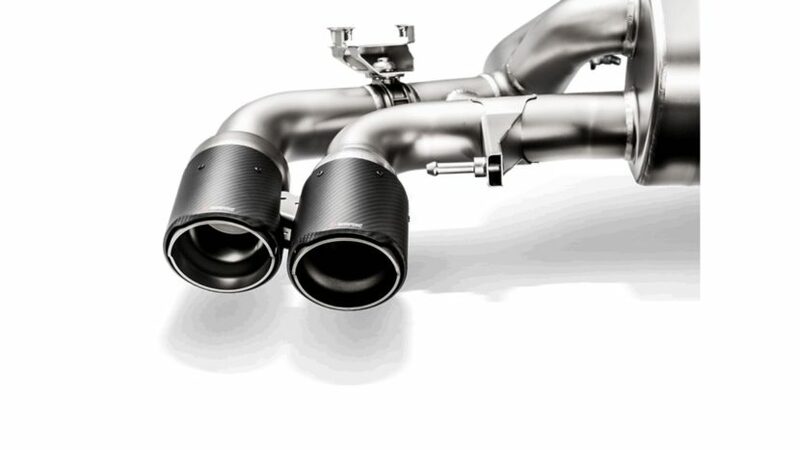 To learn more about the new exhaust system, visit www.akrapovic.com.